Do you like taking on the hardest games ever to constantly push your skills to the edge? If your answer is yes, then Unfolded Torus - Logic Puzzles with Crossy Numbers is just the perfect numbers puzzle game for you right now! 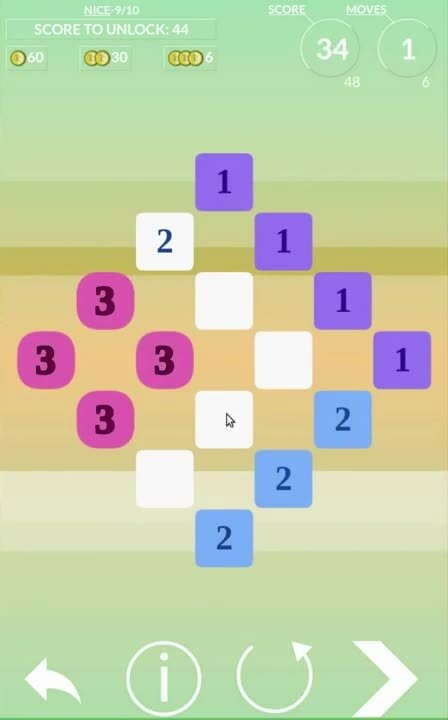 This new puzzle game is amazingly designed with an awesome environment to give you the best experience while playing it. As a player, your task is to concentrate and maintain your focus so that you can maximize the score using the least number of moves. The configurations providing the maximum score are a very small number compared to all the possible configurations, and the shortest path(s) to reach them would be hard to discover even for the fastest available supercomputer. This makes this endless game extremely challenging even for the most brilliant minds. Unfolded Torus is a cool and insanely addictive brain teasing game to tickle your brain. Get hours of fun by playing this awesome classic game, you will fall in love with it, the moment you start playing it. Our numbers puzzle game offers hours of fun that are free of any charge. Endless gameplay to keep you hooked for hours with awesome fun and frolic.